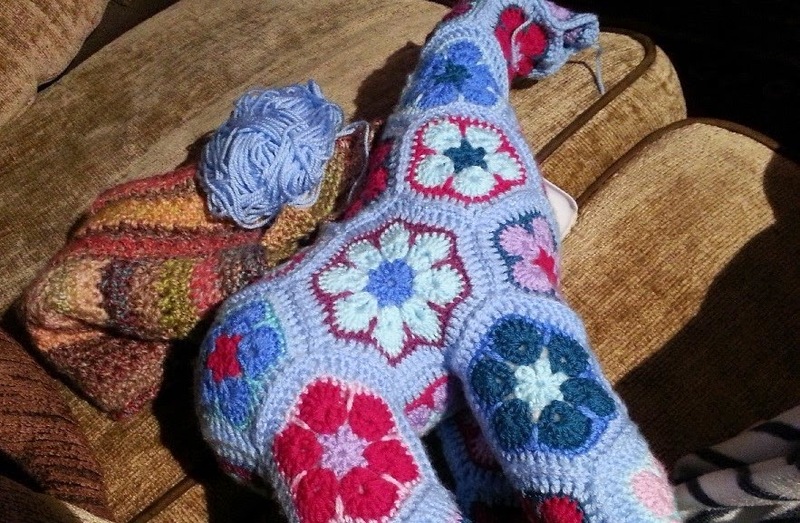 Hooking Crazy: African Flower Giraffe Ta-dah! What a week! The week back to work after a holiday is always difficult isn't it? I have really struggled to get up in the morning and then don't want my evenings to end so have had lots of late nights making for some very tired days. 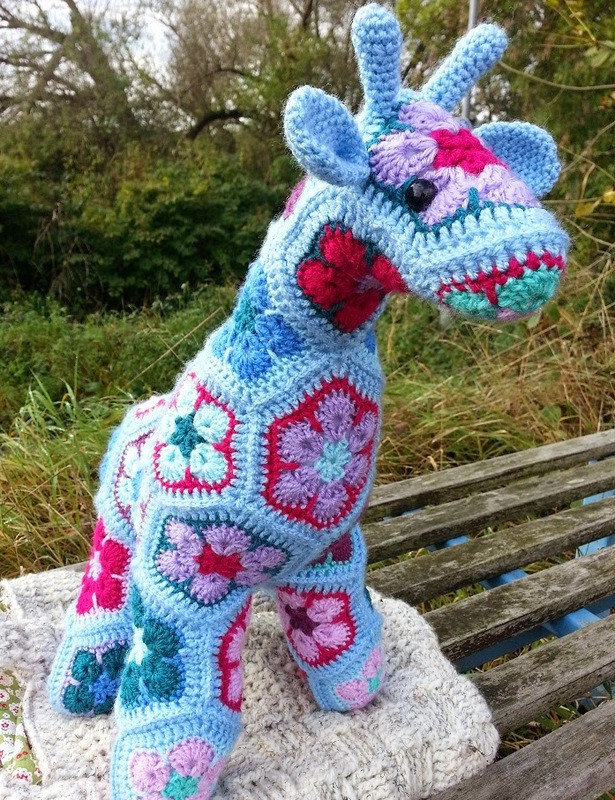 Last night was one of those nights, I just had the last horn to make for my giraffe and although I was struggling with my sleepy eyes and working under artificial light, I got it finished. I got up early this morning to sew the horns on so that I could take some pictures in daylight before trudging off to work. I am so happy with it and it's adorable little face! 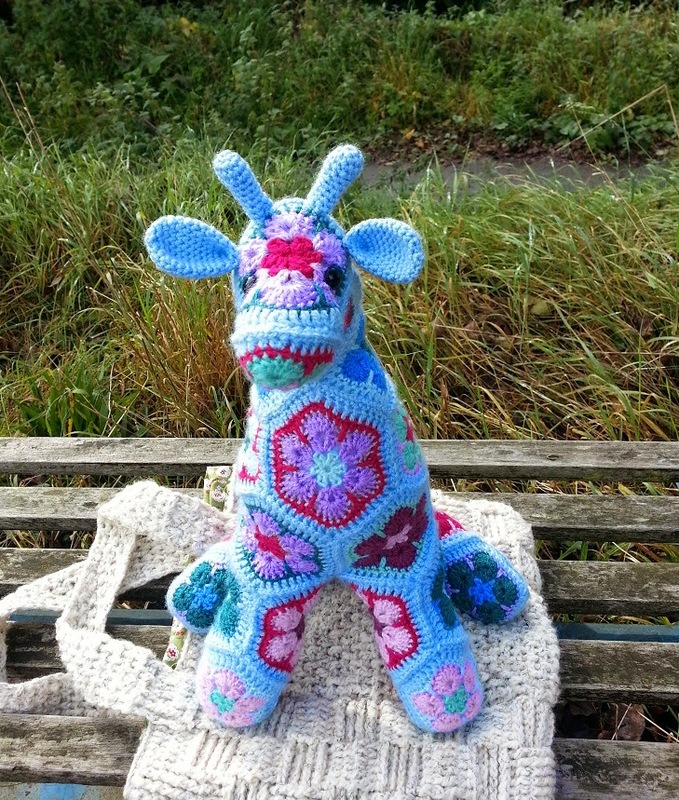 For some reason my Giraffe wants to sit down rather than stand up, it's probably the weight of the body on it's legs, the pattern calls for 4ply and a 1.75mm hook, I used DK and a 4mm. I don't think it is lack of stuffing that is causing it to sit, I used a bag and a half! 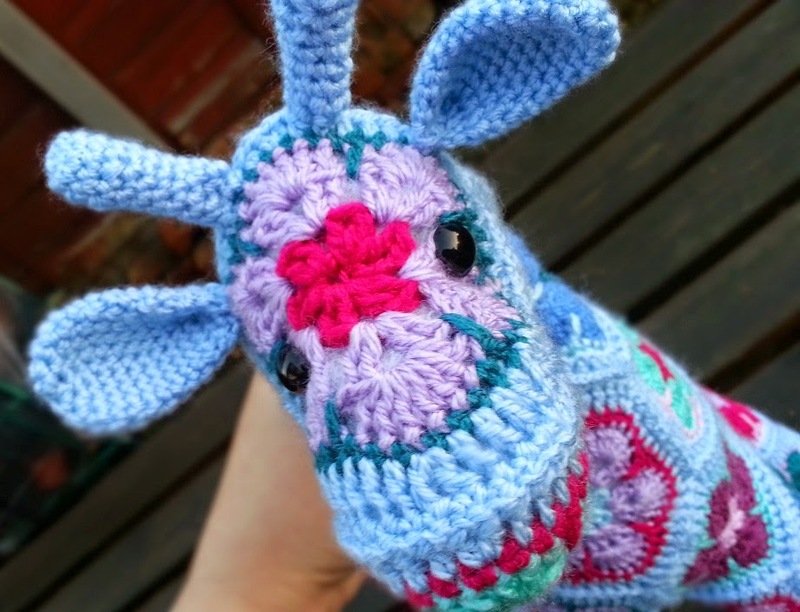 I might still make another one, it is super cute and fun to make. But I am craving a blanket, these cold evenings are just the thing for blanketeering. My problem with blankets is deciding what to make. I have found that if I start with no real plan or specific yarn for it then they tend to not get very far and I lose interest. 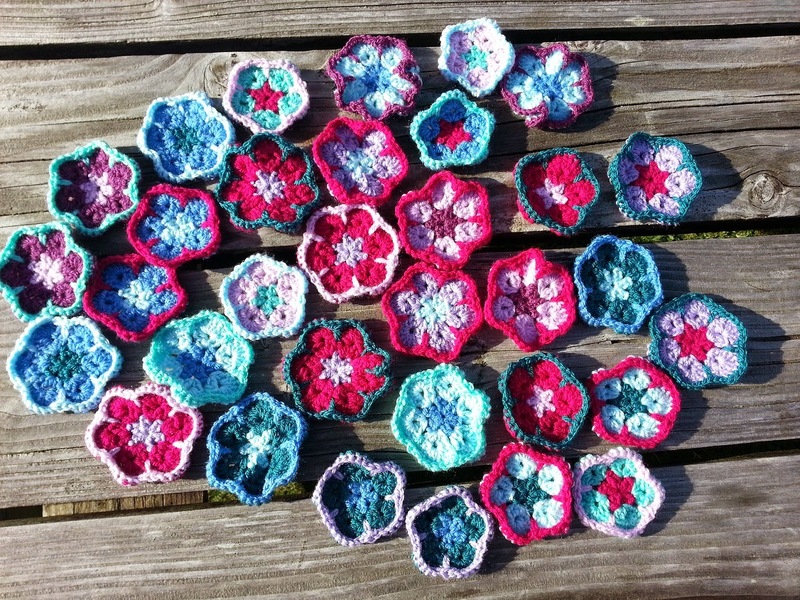 I may have to do some research and invest in some new blanket yarn, once I've decided what sort of blanket I want to do, it may take some time!